Is it snowing in Marble Mountain ?Merci! 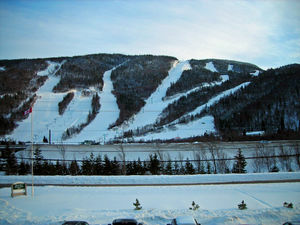 Located in Western Newfoundland on Canada's east coast, Marble Mountain Resort is known for its challenging terrain, abundance of snow and short lift lines. 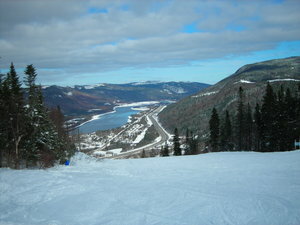 Marble Mountain's vertical drop is the highest of any ski area in Atlantic Canada. Nearby Corner Brook is the snowiest city in Canada and Newfoundlanders are known for being the friendliest people in the world. I've snowboarded all of this country and I have to say Marble (Marble Mountain) is one of the best resorts Canada has to offer. 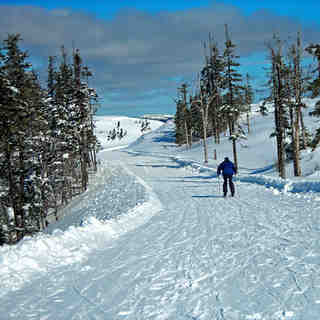 Great snow, great terrain and short lift lines. It has far less vertical than most of the major mountains on Canada's west coast but is comparable to some of BC's mountains in the Nelson area. Great bang for the buck.